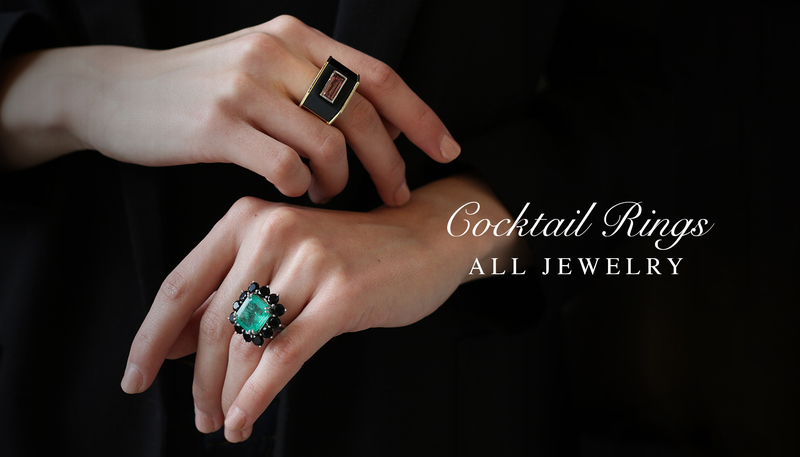 We have a striking collection of antique cocktail rings as well as modern creations that are future classics! Whether you are looking to define your style with a bold cocktail ring or find the perfect right hand ring to complement to your wedding set our curated selection has a ring for everyone. Find the next treasure for your collection!